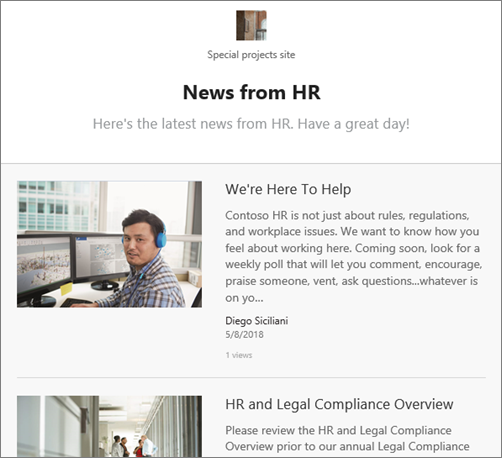 If you use the SharePoint News feature, you know that you can keep your team in the loop as well as engage them with important or interesting stories on your team site by creating eye-catching posts like announcements, people news, status updates, and more. Now you can also roll up your news posts into a great-looking digest that you can send in email -- like an email newsletter, but without the extra work. Anyone with edit permissions on a site with news can email a news digest. To change who can send an email digest, you must change their site permissions. It is not yet possible to make changes to the appearance of images, header area, or summary area of the email. Go to a site with news. Don't have a site with news? 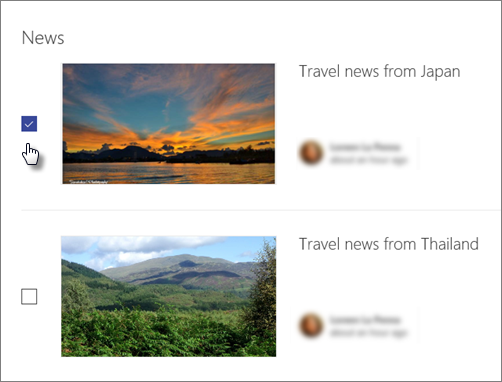 Create and share news on your SharePoint sites explains how to add news to a site. In the News section, select See all. 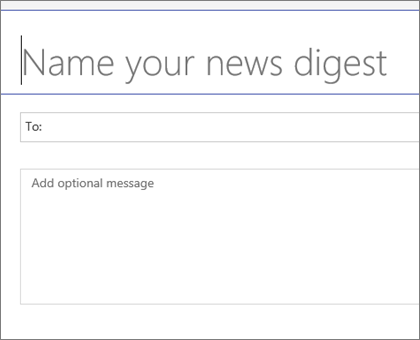 Select Email a news digest. Using the checkboxes on the left, select the news stories to include in your digest. At the bottom right of the screen, click Next. Enter a name for your digest in the Title box. This title will also be the subject line of your email. Then, add your recipients in the To: box. At the bottom right of the screen, click Send news digest. Your recipients will receive an email with the selected news stories. Note: The news digest is saved as a page in the Pages library.